We have been invited back to the St. Albans Christmas Market again and we enjoyed ourselves so much last year that this year we’ll be there for three days. Caryl Beach, Sally Tyrie and Veronica Grassi (called Praesentia collectively) are delighted to be part of the successful Duckpond Market family on its debut at Lauderdale House, Highgate. The stallholders are selected for being Local, Ethical, Sustainable and Interesting. We will be selling unique, smaller and affordable work including mono prints, painting, watercolours, jewellery and other small artworks. 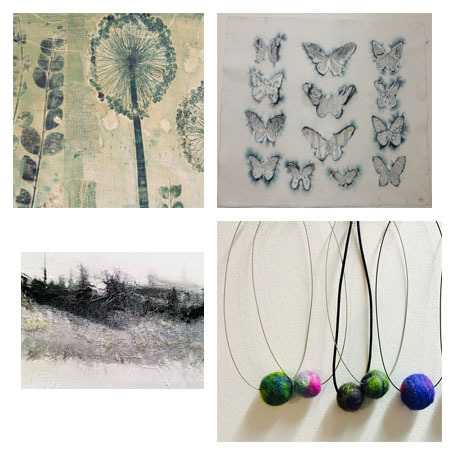 On the 5th October, praesentia will make its way into London for the Duckpond Market, bringing along beautiful unique mono prints, watercolours and jewellery. 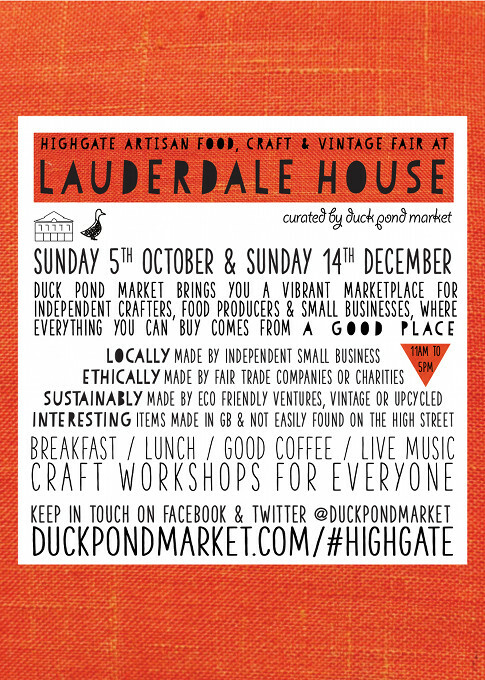 The market starts at 11am to 5pm in the beautiful Lauderdale House set in Waterlow Park, Highgate. Here are a few pictures of this historical house. Hope you will be able to join us.